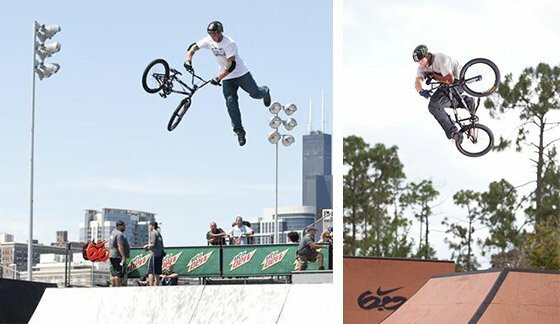 The only tricks Mike Spinner and EVL pull are on a BMX bike. Their products follow a straight line from conception to ingestion. Check out this fresh supplement brand! In the supplement industry, innovation can rocket a company to the top of the podium. Evlution Nutrition—EVL, for short—has only been available on Bodybuilding.com since March 2014, but its pre-workout formula ENGN is already in our top 10 products! Mike Spinner, EVL founder and retired BMX pro, left a lasting legacy on the circuit because he wasn&apos;t afraid of the next great move. He landed the first 1080 in competition, and now, as a brand owner, his company is a similar departure from the old standard. EVL products have color-changing and holographic labels, and the formulations have earned fast fans among athletes looking to improve their physiques. New formulas, fresh branding, and innovative marketing elevated ENGN and EVL. Read on to learn more about this energetic new company! What led you to leave BMX competition and start a sports nutrition company? I&apos;ve been involved in BMX my entire life. I gained sponsorships with companies such as Monster, Nike, Ballpark Hot Dogs, and Movietickets.com, and turned pro in 2006. I tore my ACL in 2009, and that&apos;s when I was introduced to the sports nutrition world. I was doing whatever I could to get back on my bike, and in the process I learned so much about supplementation and the right training regimen. I saw some great results. I returned to compete in the Chicago Mountain Dew Tour, the biggest competition of the year, and wound up taking first place. That&apos;s when my mental wheels started turning and I couldn&apos;t stop dreaming about creating my own brand. "I was doing whatever I could to get back on my bike, and in the process I learned so much about supplementation and the right training regimen." Who are some important people who helped you get off the ground? How long did it take you to bring a product to market? I was fortunate to meet so many influential people while riding, and I had the opportunity to gain lifelong friends who have helped me get where I am today. I could not be more thankful for Joel Cohen (CEO) and Melissa Cohen (General Counsel) of Movietickets.com, and Jeff John, owner of Revolution Live, one the biggest music venues in South Florida. They all helped me learn how to create a passionate work environment that has allowed our company to move on the path of success. In 2012, we started the process, and we had our first product on the market in September 2013. Give us some background into your BMX career. How did you get started riding and what motivated you to excel? When I was younger, I remember riding in the street and putting a concrete block under a piece of wood and just trying to get some height. Then, I saw the X Games on ESPN one day, and it got me instantly hooked. All I wanted to do was ride my bike. Basically there were three things the 16-year-old Mike was doing at any given point: I was riding my bike, working as a busboy and dishwasher at the local pizza joint, or at school. Tragedy struck that pivotal year. My mom passed away, and it hit me hard. I focused on riding my bike for more hours than anybody ever should. There were days when I could have been physically on my bike from 10 a.m. to 10 p.m. That&apos;s what kept my mind straight. From there, I wanted to learn different tricks and aimed to do things people had never done before, like a 1080, which is when you spin three times in the air and land moving forward. A quadruple tailwhip is when the bike goes four times around—after you kick it—and then you put your feet back on. I practiced those for months and years with many crashes and a few torn ACLs, but it was really awesome to be the first person to pull those tricks—and then pull them off when they really counted, during a competition, and in the same 60-second run a few times! I won a few amateur competitions—which is how I turned professional—and I was able to live at the Woodward Camp, the best training facility in the world. My motivation continued to rise, along with my excitement to do tricks nobody had ever done, and put it all on YouTube! The best feeling was actually pulling off new tricks in a competition. How did your experience with BMX—especially with sponsorships and management—prepare you for your current role? When I was 12 years old, I got to meet my childhood idol, Dave Mirra. I met him at an event in Florida and he even gave me his email address because he knew I was such a fan. I would always email him, telling him which tricks I was learning. I probably emailed him way too many times! Dave Mirra&apos;s bike company—Mirra Co.—was my first sponsor, and he recommended me to his agent and sports agency, Wasserman Media Group. I have been working with Brad Lusky over there ever since. I can&apos;t thank him enough for all he has done for me and taught me. He has been a great supporter and taught me everything, from ethics to good business. I&apos;m happy to have the best sports agency backing me. The agency handled most of the non-riding parts of the business so I could keep focused to be the best I could ever be on a bike. We have seen great success across the whole line, but especially with our pre-workout, ENGN, which is featured on your Top 50. Other products which have seen standout success are LeanMode, BCAA Energy, and A-10. What new and exciting products can we expect from you in the near future? We&apos;re always looking to innovate! Our newest product will be EVLTEST, which is a very exciting first step for us into a new category of product. We&apos;re looking forward to bringing this to the bodybuilding community and hearing all the feedback! Let&apos;s say a customer is just starting a fitness regimen and can only afford one of your products. Which supplement do you recommend? Of course we would love them to try all of them. For their first experience, though, I would recommend our pre-workout, ENGN. We have had great feedback on it and would strongly recommend they try it! We heard you used to have a sick park at your pad in Florida. Yeah, I built a 12,000-square-foot skate park in my back yard, complete with a foam pit and resi-ramp (soft padded landing) in 2010, but it is gone now. It was a dream come true! I remember, when I was 10 years old, the dream would be to have a small ramp in the backyard, so I kinda did that, just on a bigger scale. I built the skate park for specific training and getting ready for competition, like X Games and the Mountain Dew Tour Competitions. Then, in 2012, I put on a competition in the backyard. I had all the biggest competitors fly into South Florida. It went over so well that the wheels started to turn, and in 2013 I partnered with Monster Energy and Hookit and we created an Amateur Series around the country with 10 locations and 10 winners. Each winner then came to the finals at my house. They competed against each other. The winner turned professional, gained sponsorships, and then came back to my house two months later to compete in my professional competition. It was really awesome! There was a local skate park near my place, and I donated the best ramps just this last October, so more of the local talent could actually ride the ramps. I don&apos;t have the park in my yard anymore, but if I get the craving to ride, I just have to go a few miles down the road. Yours is a relatively new company. What have you learned so far about the industry? I&apos;ve learned that this industry is highly competitive and constantly evolving—which is the route we are motivated to take! There are a lot of great companies in the industry and there are a lot of great opportunities for innovation. Your apparel line is legit. How important is clothing to your goals? We launched our clothing line three months before ever launching a supplement product to market. Our goal was to gain a fan base and get the EVL brand out there. At the end of the day, our goal is to have people excited not only to use our products but to represent the brand. I&apos;m big on apparel and love coming out with new clothing items! "Our goal is to have people excited not only to use our products but to represent the brand." How much do you personally have to do with the formulations in your line? Our whole EVL team is extremely hands-on with the development of all of our products. For example, our pre-workout ENGN took more than six months to create the final version. We began beta-testing without any flavor to make sure it fully reached our expectations when it came to focus, energy, and pump. When we were finally happy, we were like "OK, let&apos;s make this product taste amazing." Where do you go in the future? How do plan to guide EVL through the next decade? We&apos;re really excited for the future. In our first year in the industry, we&apos;ve had great experiences. We&apos;re looking to innovate and develop new products and expand on our current lines with new flavors. We also look forward to expanding the EVL fan base! Speaking of our fans, check out some of the great things our followers have to say! 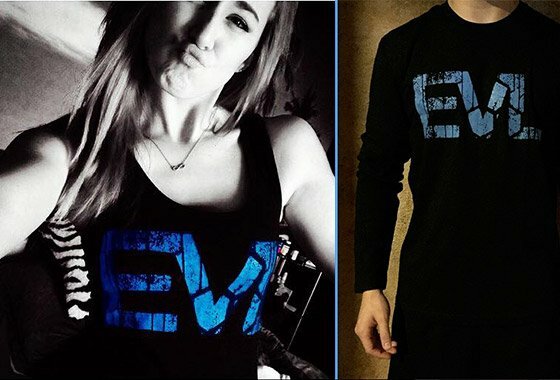 Why is EVL your favorite brand? "EVL is my favorite brand because it&apos;s easy to want more products. No brand can catch your eye as easily, whether it&apos;s the packaging or apparel. If you fall into wanting something for the way it looks, you will find yourself disappointed more often than not. With EVL, it&apos;s not the case! I keep a constant supply of every product I&apos;ve ever tried. I even got LeanMode and Trans4orm for my mom, because I don&apos;t believe in any brand more, and she absolutely loves the products. With most brands, you can find one or two products you might want, but every single EVL product is just great. The powder products mix easier than anything else, taste better, and work better. These products are absolutely flawless." What&apos;s the next product we should come out with? "EVLPUMP. A nitric oxide supplement that increases vascularity and creates massive pumps!" 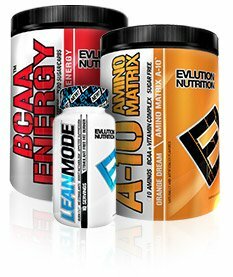 How do EVL products stack up against other supplements you&apos;ve taken? "Just took ENGN pre-workout two days in a row. Any other pre-workout I&apos;ve tried in such a fashion has failed me on day two. The fruit punch pre-workout kept me going during tough lifting, and I&apos;ll continue to use it throughout my contest prep!" Empower your future with EVL supplements! If you want to compete in something—anything!—iForce wants to be with you. This company has made its name helping athletes prepare for the rigors of organized competition, and making sure they look as strong as they perform along the way! Twinlab dates back to the dawn of modern bodybuilding, but it has stayed true to its twin priorities of health and performance. Here&apos;s its story! These 3 workouts left the Muscle Militia Generals gasping, swearing—and smiling. Your muscles will beg for mercy, but the results will speak for themselves!